From time to time hybrids occur between wild orchids, and they are nearly always between closely related species. Because of the enormous variation which naturally occurs in orchid flowers it is sometimes difficult to decide if an unusual looking flower is truly a hybrid or just the subject of variation or mutation within a single species. 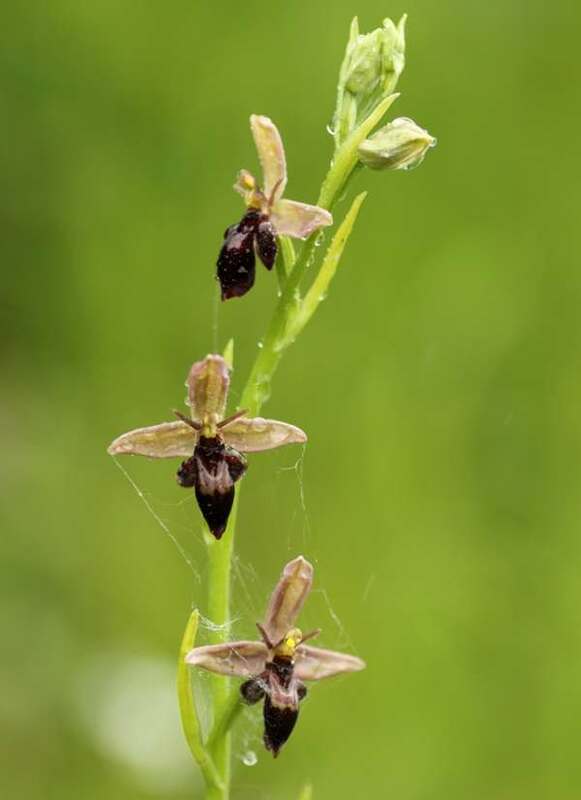 Another difficulty in accurate identification of wild orchid hybrids is that some orchids with the same parents may look entirely different and this can result from the direction of the cross: in the case of Bee Orchid x Fly Orchid it is assumed that the Bee Orchid was pollinated by an insect travelling from the Fly Orchid and not the other way around. Despite the difficulties described above there can be little doubt as to the parentage of the orchids photographed on this page. 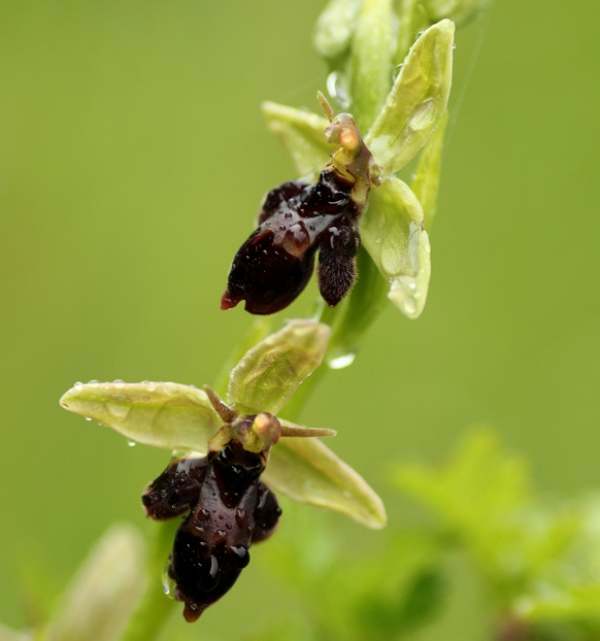 This extremely rare (in the UK) orchid hybrid is known from very few sites in Hampshire, Somerset and W. Sussex. It flowers from late May and into June.